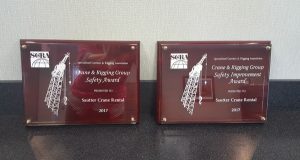 Sautter Crane Rental enjoys one of the best safety records in the industry. 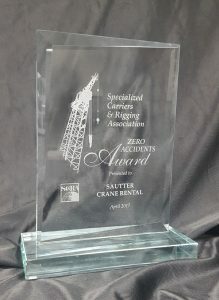 It is the policy of Sautter Crane Rental, Incorporated, to strive for the highest safety standards in all our operations. 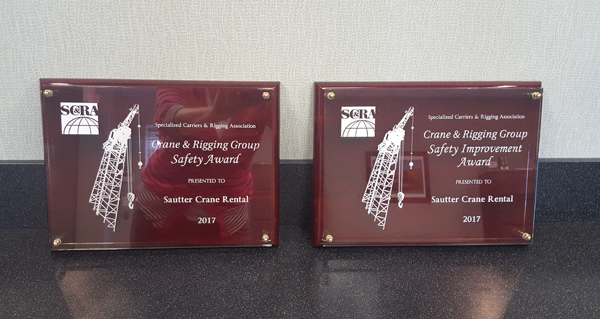 Crane safety is the direct result of careful attention to all company operations by those who are directly and indirectly involved in our daily operation. All equipment used within this company is evaluated daily and all certifications and maintenance checks and procedures for all units are updated and compliant with federal, state, and local guidelines. All crane certifications are completed annually by a third party inspector to ensure impartiality is not compromised. Maintenance is completed on a regular basis and on schedule. All our operators are certified by the National Commission for the Certification of Crane Operators. This nationwide program will become a requirement with new OSHA Standards being enacted later this year and standardizes the expertise and training requirements for safe crane operations. Our Drug and Alcohol Abuse Policy meets all Department of Transportation Commercial Driver License and Federal Motor Carrier requirements. Sautter Crane Rental always offers and recommends on-site crane estimates for your job by our team of Project Managers. This will ensure that all potential hazards at your site, such as proximity to trees, overhead wires, and underground pipes, are addressed and proper crane capacity is provided to get the job done in a clean, smooth, and efficient manner. These professionals will compute load diagrams, capacities, and configurations of the crane. They will ensure the rigging, which is also certified by a third party, is comprised of the proper material to protect and safeguard the product being lifted. Sites are regularly inspected by our full time Safety Director to ensure that compliance of all safety regulations is maintained.